I have a thing for mangoes. I happen to also have the same thing for coconut. I adore any dessert with coconut. Especially toasted coconut! I can’t think of any thing I love more than a really lovely quick bread. It’s summer. It’s hot…but I still want to bake some bread some days over here. Just not as often as when the temps are cooler. And since we are blessed with our gorgeous mango tree, what better way to put the fruit to use than in making jams! You may have seen some of my recent mango photos. I really had low hopes for the tree this year. It was an odd mango year in my yard. Half of the tree was ripe and ready to go in the middle of June. The other half had very smallish mangoes and I was thinking they would never ripen. Well, I don’t know much about gardening and the tree redeemed itself! 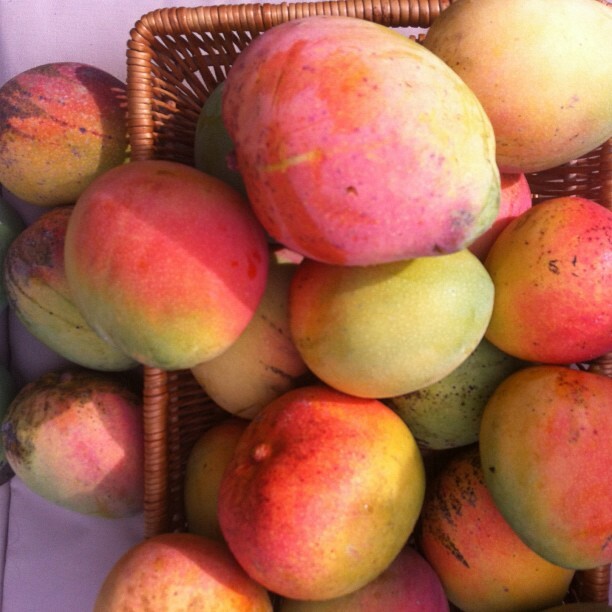 August has been a glorious month of mango smoothies every day, mango crostata, mango cakes, mangoes popsicles (the kids make them), My husband takes them to work and uses them in recipes (seafood mango ceviche)…and there are even some to share with the neighbors and family! Phew-lots of mangoes. What’s funny is I thought I had a ton of mangoes and recently found out neighbor has 4 huge trees! These are the mangoes I gathered from the yard this morning…25 of them! A small (very small)portion of the tree. I couldn’t believe that this year the branches were hanging so low and almost touching the ground. 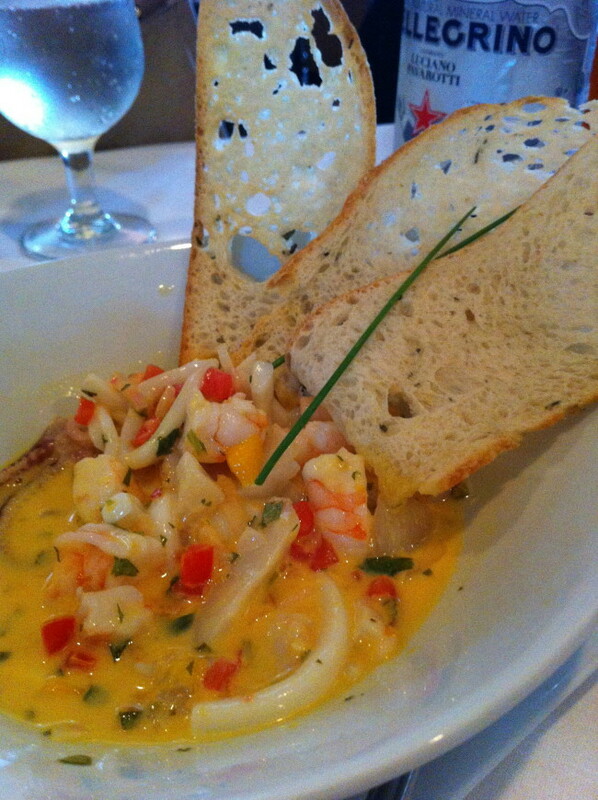 That seafood ceviche I mentioned to you featuring mangoes courtesy of my very talented hubby/chef. 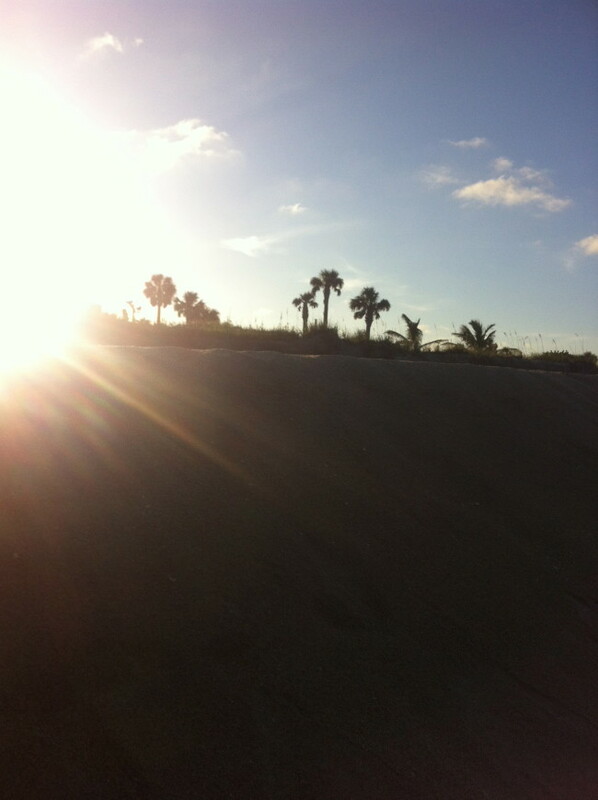 A walk on the beach this weekend and the sunset. I’ve been obsessing with sunsets and posting them quite frequently on Instagram. That’s me. 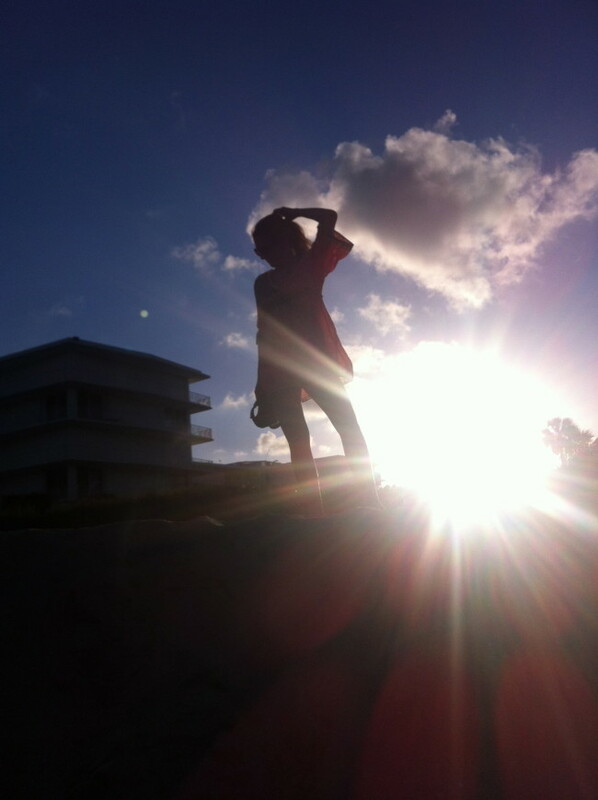 My daughter took that shot. We were having fun taking pictures running up this enormous sand wall that the waves created. The power of the full moon and the storms that have been near us. I’m really proud of G and how incredible her photos have gotten. Toasting coconut is not tricky…you just have to be right there while it’s in the oven. Be sure to not leave it alone for a minute. Let me tell you, coconut that is burning smells awful! Really bad. It can go from tropical scented deliciousness to complete coconut disaster in no time. Really! In a blink of a eye (or a text or a phone call), that coconut will be gone. But if you do pay close attention to it, you could have some coconut magic. I promise. I kept an eye on this batch of coconut. It probably could’ve been just a wee bit more toasted. I didn’t want to risk not making this delicious quick bread and I don’t think you should either! If you don’t happen to have mango jam, you can use a lime marmalade like the original recipe calls for. Or really whatever flavor jam you’d like to mix with coconut. Then sit back with a cup of iced coffee and a slice of bread and enjoy! Preheat the oven to 350 degrees. Spray 9x5x3-inch loaf pan with baking spray (or butter and flour the pan). Toast the coconut by placing in a baking pan, at 350 degrees for 5-7 minutes. Keep a close eye on the coconut. Stir the coconut around to ensure even toasting. In a large bowl stir together the flour, sugar, baking powder and salt. In a medium bowl beat the egg with a fork, stir in the coconut milk and melted butter. Add the egg mixture to the flour mixture. Stir just until moist; batter will be thick and lumpy. Fold in 1 cup of the toasted coconut. Spread ¹/3 of the batter into the prepared loaf pan. Spoon ½ of the jam (reserving 1 tablespoon for the top of the bread) onto center of the batter, repeat with the other third of the batter, followed by the remaining ½ of the marmalade, top with the remaining third of the batter. Take a thin metal spatula or knife and run it through the batter lengthwise, swirling back and forth to create a flavor swirl of marmalade in the bread. Bake at 350 degrees for 30-35 minutes(for mini loaves or 55-60 minutes for one regular loaf)or until loaf springs back at touch. Before serving, melt the remaining tablespoon of jam and spread on the top of the loaf, followed by the remaining toasted coconut. Such a pretty bread, oh how I wish I could try your mango jam! 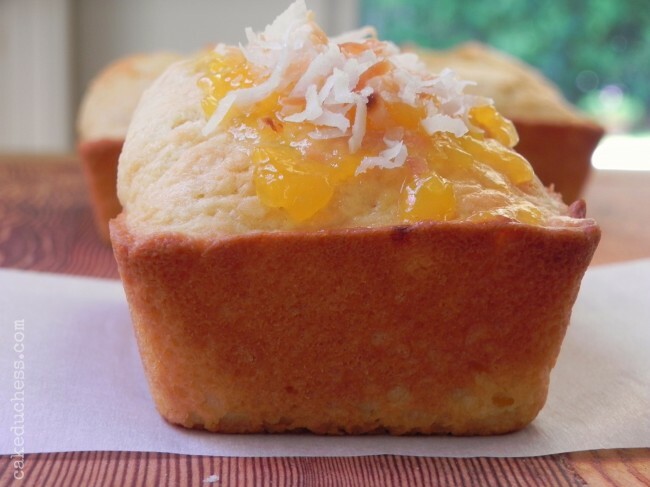 I've had mangoes and coconut on my mind for a while too – I think muffins are in order soon :). We have mangoes almost all year, but they vary so much in flavor. Fruit trees are amazing to have, but you also need to have friends and neighbours who will take the excess! Love coconut too. And mango in everything! Delicious love the mango and coconut combo. 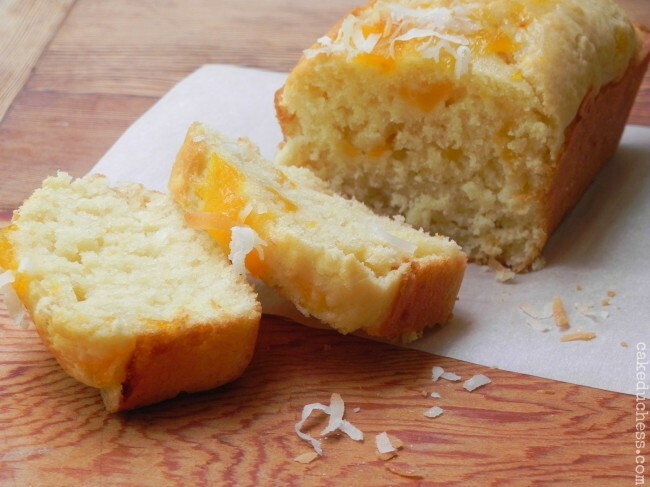 The Coconut Mango Bread looks delicious. Will have to try to make this soon. I'm assuming it's 1/3 cup of melted butter? What lovely little loaves and how lucky you are to have all those fresh mangoes. Love this bread, your mango tree, your chef hubby and that gorgeous amazing photo taken by your daughter!! Wow! your month of mango recipes sounds amazing! yumm! This cake is to die for! 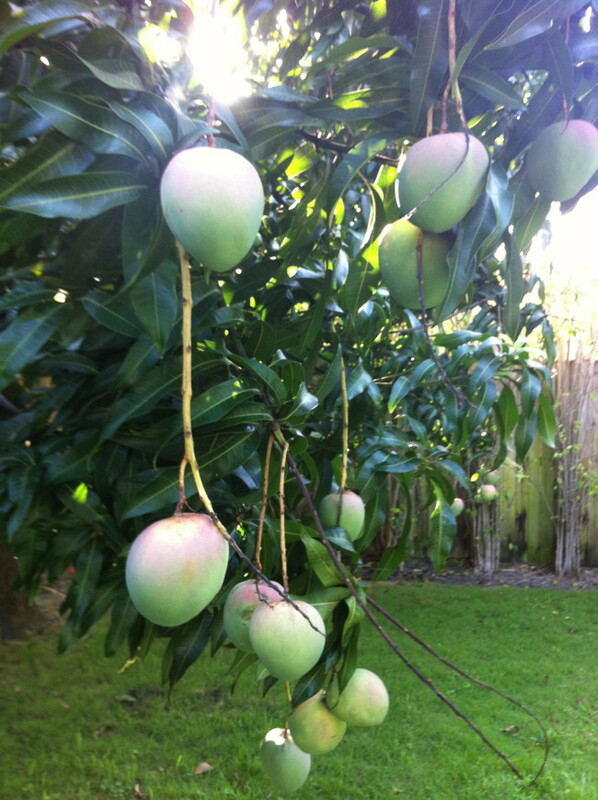 In tropic North Queensland, Australia, I have 4 huge mango trees in our yard and guess what, I have never made mango jam or a mango cake! Our mango season is in November /December so I am going to have to change this. Thanks for the recipe! I like that you used the fruit with coconut, such a great flavor combination and for sure a winner. Can't wait to try your cake recipe when the mango season is happening here in may. You coconut bread looks so moist and fabulous! And your delightfully delicious, homemade jam makes the perfect swirl and topping! You have a mango tree!! Oh I'm so jealous! !And I'm so drooling over this bread!! Beautiful cake. Love love the combination. You brought some nostalgic moments back with the picture of a mango tree. We grew up with so many of those in our back yard but I never got to love the fruit as much as I do now that I am oceans away form my home. 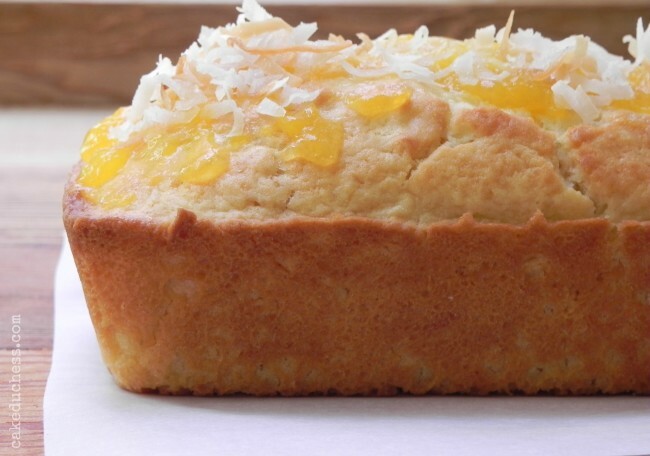 What a beautiful cake and what a super combination of mango and coconut – YUM! Be still my heart!! Oh how I adore mango and coconut. I think I'd make this recipe for the family, then when they went to school and work I would save it all for myself. FAbulous!!! !